At this time of year, many couples are planning romantic dinners or special events with a loved one. While Valentine’s Day is not traditionally associated with considerably higher rates of DUI accidents in Hollywood and across South Florida, the reality is that red wine and other drinks are often involved with Valentine’s Day dinners and you still need a get-home-safe plan if you plan on having a romantic night out. 1) Plan your meal ahead, including drinks. If you’re heading to a restaurant, carefully consider the menu and consider what you will order, including drinks. This lets you plan how you will order and how much alcohol you will consume. You may want to order drinks earlier with an appetizer, for example, giving you time to sober up by the time it is time to leave. 2) Consider hiring a driver for an even more romantic evening. If you want a truly special Valentine’s Day without worrying about driving home, order a limo or hire a driver. This will add a touch of romance and will ensure you have a safe, designated driver to get you home. 3) Keep consumption of alcohol light. You’ll enjoy your dinner more and more romance if you stay sober. 4) Be mindful of “buzzed” driving. Valentine’s Day is one of those holidays that doesn’t tend to involve heavy drinking. However, just a few glasses of wine can lead to buzz driving, which Florida authorities have called just as dangerous as drunk driving. When you are even slightly buzzed, you may still experience slower response times, poor judgment, and other symptoms which can lead to a car crash. Even if you are under the legal alcohol limit, buzzed driving still puts you and your loved one at risk. 5) Order by the glass. 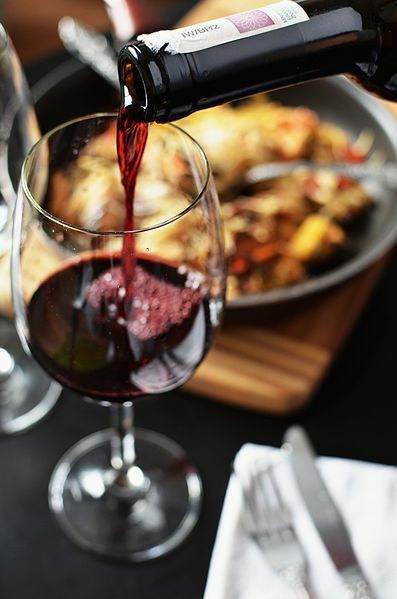 Instead of ordering an entire bottle of wine with your supper, consider ordering a glass or two. Indulge in a higher-end drink and sip slowly. It will feel more indulgent and you’ll be consuming less alcohol, meaning you will still stay well below the legal limit. 6) Have a safe way to get home. Even if you don’t plan on drinking, keep in mind it’s hard to predict what will happen on your date. Always have a few options to get home safely. Have someone you can call, keep some extra cash on hand for taxis or emergencies, and know how to get home safely from your date. If you are injured by a drunk driver, do not hesitate to contact Flaxman Law Group for a free consultation. Our offices in Hollywood, Homestead, and Miami are open to you if you have been injured and our compassionate attorneys are always standing by to offer you legal representation and advice.